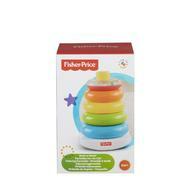 A favorite Fisher-Price® classic with so many ways for baby to play! Five colorful rings are fun for younger babies to grasp, hold, shake, and explore. The littlest ring has a shiny, reflective surface for baby to discover inside—with colorful, swirling beads that make fun rattle sounds! When baby is ready to sit & stack, baby can place rings on the post, then bat at the wobbly base to make it rock back and forth. 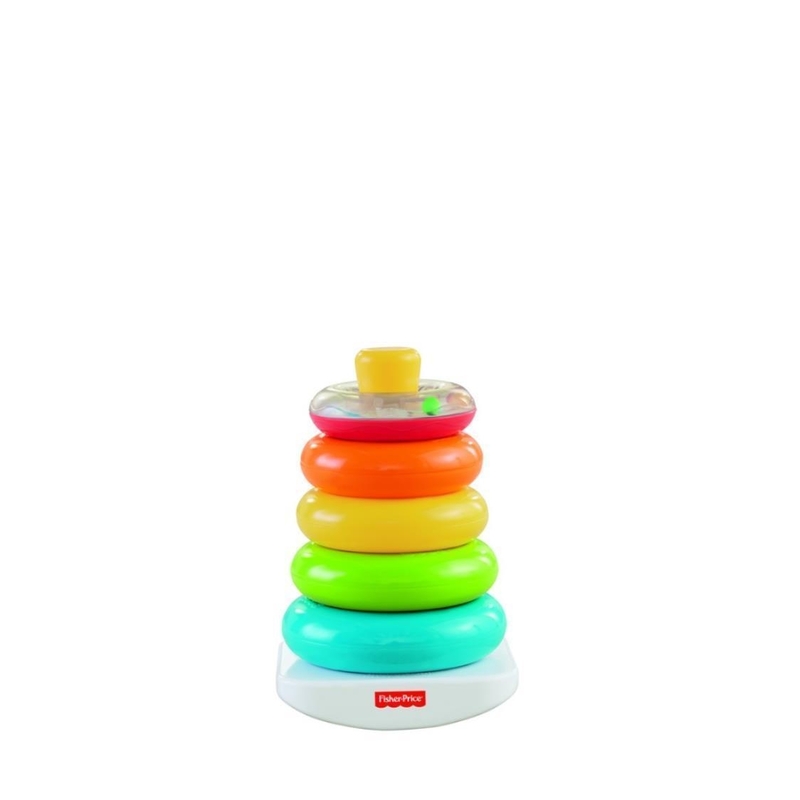 Stacking helps baby develop eye-hand coordination, and introduces baby to the concept of relative size as they learn to sort and stack from biggest to smallest!